• PLOT SUMMARY: Batman: Reborn tie-in - Writer Chris Yost (New X-Men, X-Force) and artist by Ramon Bachs (Civil War: Front Line) kick off a brand-new ongoing series right here with 'The Grail' part 1 of 4! Following the aftermath of BATTLE FOR THE COWL, a new Batman watches over Gotham City. But not everyone is ready to give up on the old one. 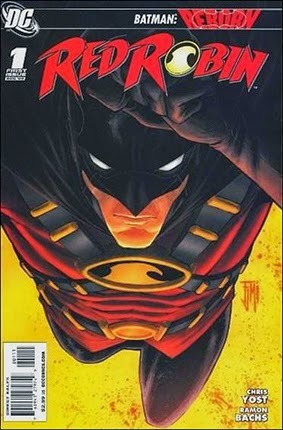 Someone believes that Bruce Wayne may still be alive...and that someone is Red Robin. But who is wearing the Red Robin costume, and why is he traveling the globe looking for a dead man? Whoever he is, he's not alone in his search! Cover art by Francis Manapul.